This is a new take on the original piece that was created several years ago. This is based on the work of Leonardo da Vinci. 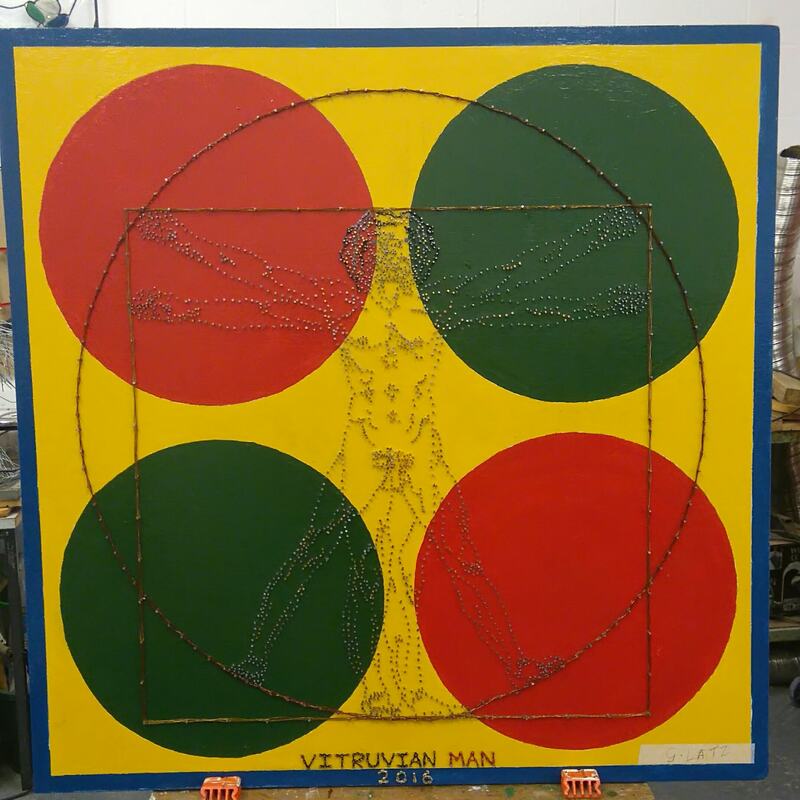 High density board painted in inks, the detail has been created with steel pins and wire, and muscle tone has been highlighted by the use of brass pins. Two precious gemstones of Tanzanite have been set into the board as eyes.